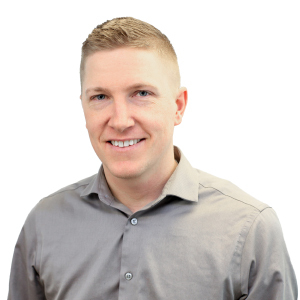 Jeremiah has been involved with many aspects of the Real Estate industry for over twelve years. This includes construction, residential renovations, interior design, and investing in various income generating property products. Over a decade of his life was spent serving in the Canadian military, where he achieved various medals and commendations. Let someone who knows the process assist you with your relocation to or from Halifax. You can trust that Jeremiah is committed to providing you with the highest of standards for your real estate needs. Ask me about the ViewPoint Client Advantage Program. As a member of the program, you'll have access to exclusive new tools and information that are not available to the general public. This free program is for qualified clients who intend to use ViewPoint Realty as their brokerage in the purchase or sale of real estate. "Buying my very first home as a single 33-year-old woman seemed like a daunting task when I first started out. But it's amazing how my fears and anxiety quickly subsided when all the pieces start fitting together. Yes, ViewPoint is great because of its ease of use and online technology, but without the people behind the website, I wouldn't be where I am today. My ViewPoint REALTOR® was the absolute best and from the initial meeting made it a total 'no-hassle' experience for me. I never felt pressured to buy (even after looking at the 25th house in one month), and when I finally found my first home, he fixed me up with everything I needed including an inspector and a lawyer. So, I thank ViewPoint for making my life just a little bit easier! We all could use a little less stress in our lives (especially when buying a new home) and ViewPoint definitely made mine a very pleasant and rewarding experience."